The rooftop carpark of the Castle Towers shopping centre is a great location for a car show; on any given day it has easy access, space and sunshine. Unfortunately for the 2013 AAD this Sunday was not any given day. 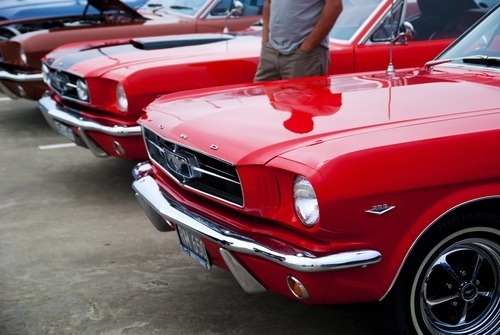 The sun hid behind the clouds and the rain poured down on the rooftop full of American muscle. Even though it appeared as though numbers were slightly down on the 2012 show, less-than-perfect weather didn’t seem to phase attendees too much. We found that the show was still busy for the entire duration. 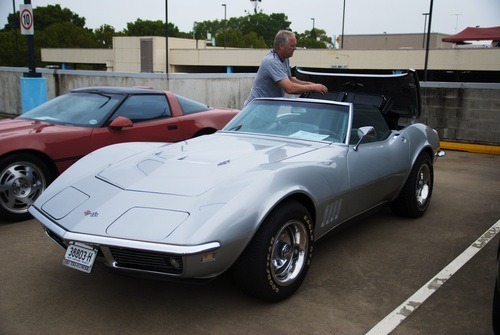 The crowds gravitated towards the more popular cars making it hard to get the perfect shot. 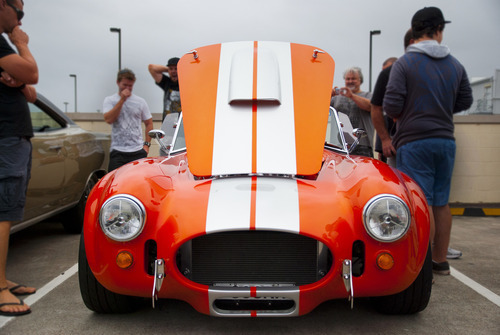 This orange cobra’s engine bay was filled with a 5.7 Litre LS1 V8! 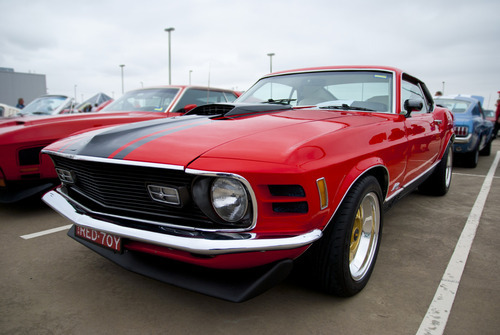 The Mustang display may have dominated nearly half of the show space, but there was still plenty of variety on offer. 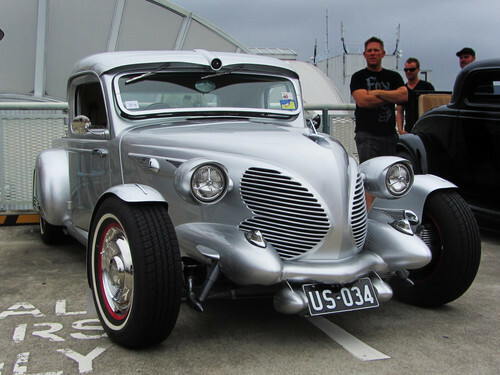 Cars ranged from 1930’s era Fords to late model Chryslers with anything and everything in between. The variety extended to the way that people approached their individual builds as well. 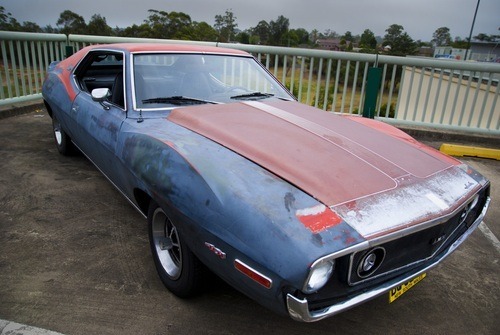 Some cars were highly modified, others were painstakingly restored to look like they had just rolled off the factory line. Whichever style you prefer, you couldn’t help but admire the hard work involved in all the builds present. A couple of rides even looked as though they were waiting for a restoration, but we really digged the look! 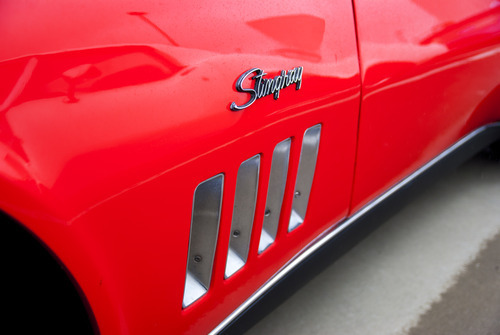 The details on some the restored cars were subtle, but oh so classy. 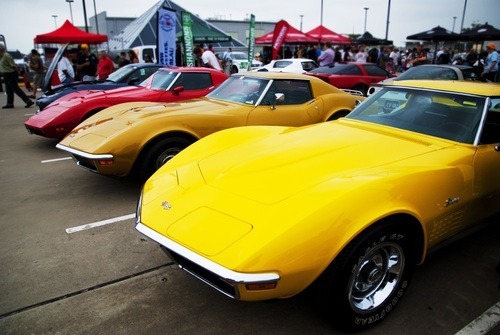 The cars were grouped together by make and model, so if a particular car caught your eye you could see a different interpretation right next door. 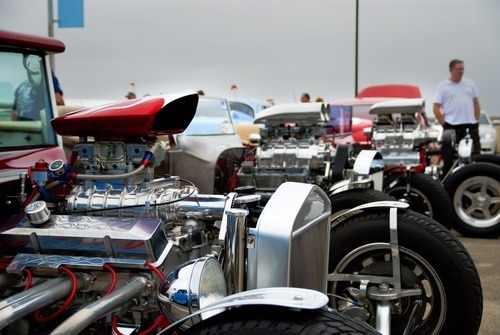 The ‘hot rod row’ packed more than enough horsepower for the rev-heads in the crowd. 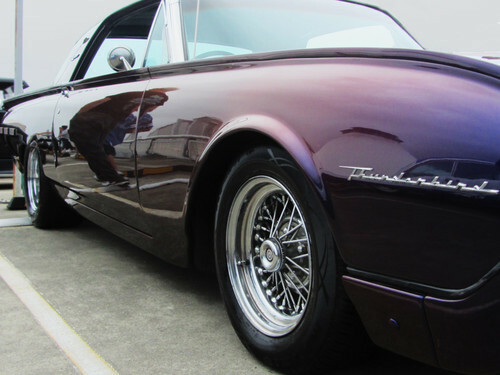 This Thunderbird had amazing paint, looking very reminiscent of Nissan’s midnight purple line of colours. It’s period-perfect wire rims really brought the whole package together. 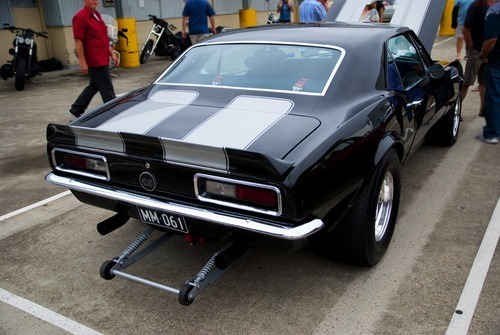 This drag-spec Camaro was another crowd favourite. It’s wheelie bars and bonnet bursting blower were dead give aways that this machine means business. 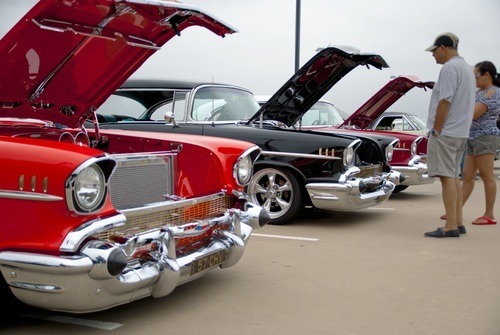 The ’57 Chev is a popular build platform. There were many examples to see at the show, each with a slightly different flavour. 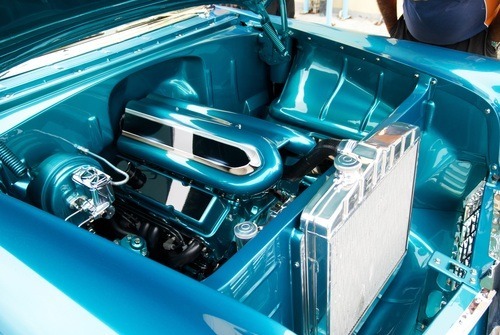 This immaculate engine bay is also a ’57 Chev build. Some people take the nationality of their car to a whole new level of patriotism! Captain America is around here somewhere. 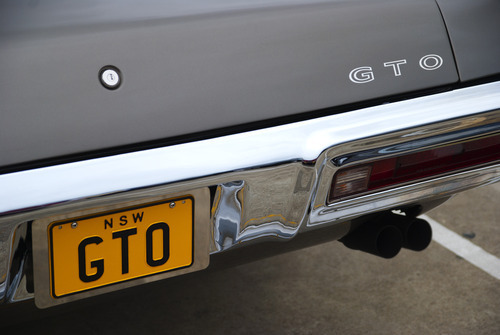 We are not sure, but this might have been a GTO. Some may argue that american cars are made for straight lines and cruising; with stop and turning capabilities paralleled only by modes of transport that involve rudders. 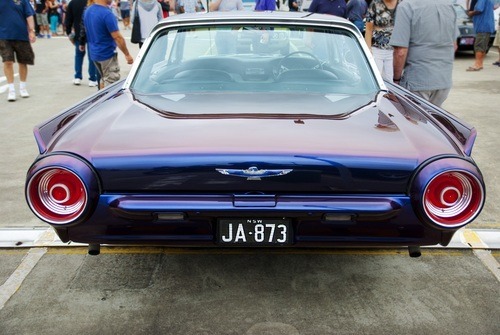 Anyone who feels this way should take a look at this Corvette! We could not resist getting a close-up of these massive dinner plates. 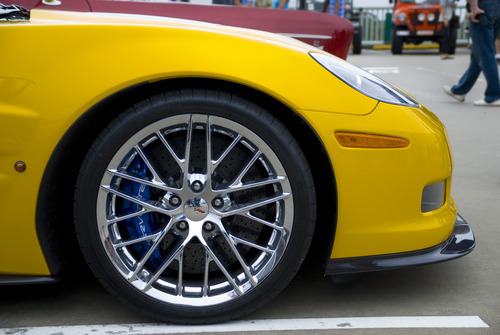 We bet this ZR1 would stop on dime. Would you like some wheel with your brakes sir? 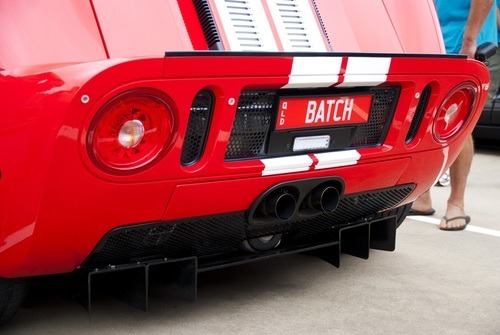 Another American car that can more than handle itself on the track is the Ford GT. 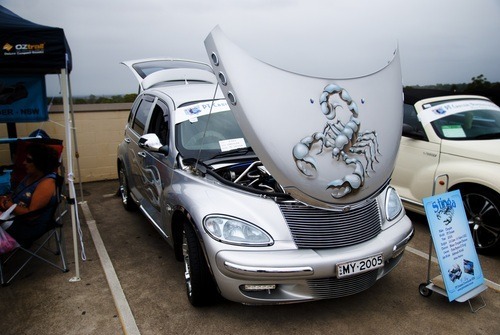 Every show attendee was drawn to this car at some point. We have to call it the unofficial crowd favourite. Our most liked feature was the carbon fibre rear diffuser. 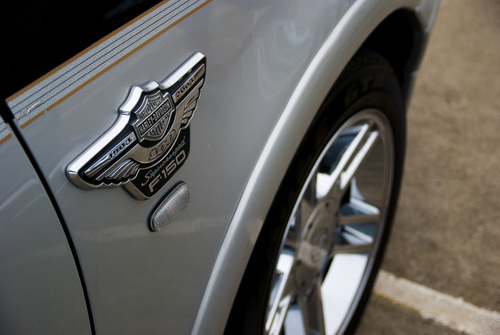 The Harley Davidson F150 is a great example of the many types of special editions and company crossovers that were present at the show. 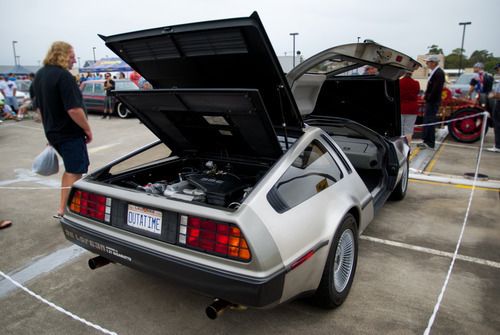 This Delorean had us wishing for hoverboards (2015 is too far away)! It was nice to see that the rain didn’t cause many cars to leave, although a few of the convertibles had to have a quick wardrobe swap. 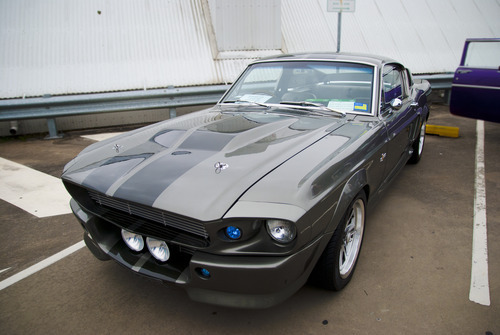 As is the case every year, a large number of trophies were given out to some very worthy cars and a decent amount of money was raised for the Westmead Children’s Hospital. 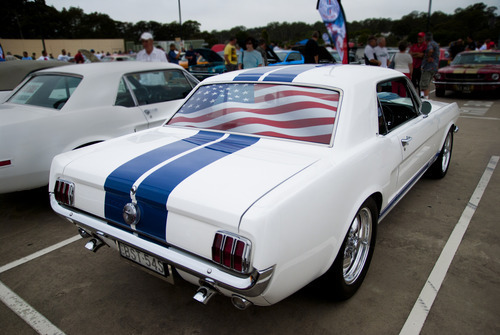 The team at Speed Nation enjoyed the All American Day immensely; a great show, with a worthy charity focus. Definitely a show to attend in future years!